While most running shoes feel comfortable when you’re standing in a sports store, the true test is after several miles on the trail or asphalt. 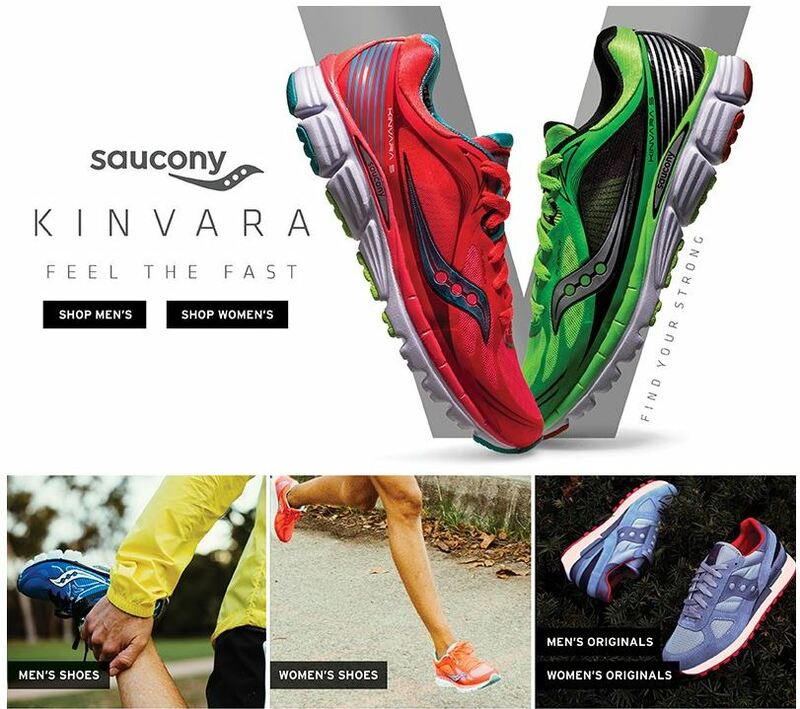 You’ll quickly realize that your perfect shoe has more to do with the shape of your foot and your running style than it does with the logo stitched on the side. Road running shoes are designed for pavement and occasional forays onto packed surfaces with slight irregularities (fire roads, nature trails, wood-chip paths). Light and flexible, they’re made to cushion or stabilize feet during repetitive strides on hard, even surfaces. Tip: If you can’t find a trail shoe with the right fit for your running mechanics, it’s better to go with a road-running shoe. Foot size: If you’re unsure of your shoe size or if one foot is larger than the other, it’s best to have your feet measured at REI or other shoe retailer with a Brannock device. (That’s the flat metal tool with sliders that measure the length, width and the toe-to-ball length of the foot.) Whenever possible, try the shoe on to see if it fits. Shoe lasts (which determines shoe sizes, described below) vary by manufacturer and even from one shoe model to another. You may need a half-size or even a full size smaller or larger than you think. Most men wear a D-width shoe; most women wear a B-width. You don’t have to wear a shoe of your gender—the lasts are basically the same. Men: Try a women’s shoe if you have a narrow foot. Women: Try a men’s shoe if you have a larger or wider foot. If the shoe fits, wear it! Arch shape: As you get out of the tub, shower or pool, take a look at the footprint you leave on the bathmat or cement. The shape of your footprint will indicate the type of arch you have. Your arch shape affects the way your foot moves as you run. Your foot shape is closely related to its movement as you walk or run. With every stride, your heel typically strikes the ground first. It rolls slightly inward and the arch flattens to cushion the impact. Your foot then rolls slightly to the outside and stiffens to create a springboard to propel your next step. Pronation is the foot’s natural inward roll following a heel strike. Basic (neutral) pronation helps absorb impact, relieving pressure on knees and joints. It is a normal trait of neutral, biomechanically efficient runners. Overpronation is an exaggerated form of the foot’s natural inward roll. It is a common trait that affects the majority of runners, leaving them at risk of knee pain and injury. Overpronators need stability or motion control shoes. Supination (also called under-pronation) is an outward rolling of the foot resulting in insufficient impact reduction at landing. Relatively few runners supinate, but those who do need shoes with plenty of cushioning and flexibility. How can you be sure which running style is yours? A podiatrist or physical therapist could undoubtedly tell you, but a simpler answer is probably in your closet. If you own a well-used pair of running shoes, check the wear pattern on the soles. A neutral stride is indicated by shoe wear centralized to the ball of the foot and a small portion of the heel. Overpronation is identified by wear patterns along the inside edge of your shoe. Supination is marked by wear along the outer edge of your shoe. Cushioning shoes provide elevated shock absorption and minimal medial (arch side) support. They’re best for runners who are mild pronators or supinators. Cushioning shoes are also good for neutral runners during off-pavement runs. Reason: Minor irregularities in surfaces such as dirt roads give feet a little variety from the repetitive, same-spot strikes they typically experience on hard surfaces. Stability shoes help decelerate basic pronation. They’re good for neutral runners or those who exhibit mild to moderate overpronation. They often include a “post” (see Shoe Construction 101, below) in the midsole. Motion control shoes offer features such as stiffer heels or a design built on straighter lasts to counter overpronation. They’re best for runners who exhibit moderate to severe overpronation. This refers to the upper part of the shoe above the sole. Synthetic leather is a supple, durable, abrasion-resistant material derived principally from nylon and polyester. It’s lighter, quicker drying and more breathable than real leather. Plus, it requires no (or very little) break-in time. Nylon and nylon mesh are durable materials most commonly used to reduce weight and boost breathability. TPU (thermoplastic urethane) overlays are positioned over the breathable shoe panels (such in the arch and the heel). These small, abrasion-resisting additions help enhance stability and durability. Waterproof/breathable uppers (e.g., Gore-Tex XCR or eVent) use a membrane bonded to the interior of the linings. This membrane blocks moisture from entering while allowing feet to breathe. Shoes with these membranes keep feet dry in wet environments with a slight trade-off in breathability. EVA (ethylene vinyl acetate) is a type of foam commonly used for running-shoe midsoles. Cushioning shoes often use a single layer of EVA. Some will insert multiple densities of EVA to force a particular flex pattern. Posts are areas of firmer EVA (dual-density, quad-density, multi-density, compression-molded) added to create harder-to-compress sections in the midsole. Often found in stability shoes, posts are used to decelerate pronation or boost durability. Medial posts reinforce the arch side of each midsole, an area highly impacted by overpronation. Plates are made of thin, somewhat flexible material (often nylon or TPU) that stiffens the forefoot of the shoe. Plates, often used in trail runners, protect the bottom of your foot when the shoe impacts rocks and roots. Shanks stiffen the midsole and protect the heel and arch. They boost a shoe’s firmness when traveling on rocky terrain. Ultralight backpackers often wear lightweight trail runners with plates for protection and shanks for protection and support. TPU (thermoplastic urethane) is a flexible plastic used in some midsoles as stabilization devices. The “last” refers both to the shape of a shoe and also the form, or mold, around which a shoe is constructed. A straight last is appropriate if you are an overpronator or have a flexible, flat arch. It helps to control inward motion. A curved last is designed for underpronators with rigid, high arches. The curved shape promotes inward motion. A semi-curved last represents the middle ground. It is appropriate for neutral pronators. Board-lasted shoes are made with a piece of stiff fiberboard glued to the upper and then to the midsole/outsole. These shoes offer the stability and motion control needed by overpronators. Slip-lasted shoes are made by sewing the upper into a sock which is then glued directly to the midsole/outsole without any board in between. These are flexible and well cushioned for the supinator. Combination-lasted shoes feature board-lasting in the rear half for motion control and support, which slip-lasting in front for cushioning and flex. This is the most common approach and can be used a wide range of foot types. Heel counter: This refers to the rigid structure around the heel. It provides motion control and is sometimes supplemented with a heel wedge, which adds support and cushioning to the heel. It can help those runners who are bothered by Achilles tendonitis. Medial post or torsion bar: These are located on the sides of shoes to help control excessive inward or outward motion. They are designed for the over-pronator or supinator. Outsole: The outsole is where the rubber meets the road, so to speak. Most road shoes are made with rugged carbon rubber in the heel. Blown rubber—which provides more cushioning—is often used in the forefoot. Trail runners tend to have all carbon rubber outsoles to better withstand trail wear, while road racing shoes are frequently all blown rubber to reduce weight. Try on shoes at the end of the day. Your feet normally swell a bit during the day’s activities and will be at their largest then. This helps you avoid buying shoes that are too small. If you wear orthotics, be sure to bring them along. They impact the fit of a shoe. Consider aftermarket insoles (a.k.a. footbeds) such as those from Superfeet, SOLE or Spenco. Shoe manufacturers tend to provide generic insoles with their shoes since many runners use their own orthotics or insoles. Insoles come in models that can enhance comfort, support or fit—or all 3. Running barefoot has, of course, been around since the beginning of humankind. Running-specific shoes, on the other hand, are a much more recent phenomenon, but one that quickly dominated the running landscape. Today, the barefoot running motion has suddenly become popular again. Why? Research has shown that when wearing traditional running shoes, one tends to hit the ground heel first. This is because a shoe heel has an elevated cushion. However, with barefoot runners, it is the mid-foot or forefoot that strikes the ground first. Proponents believe this more-natural foot strike causes less impact and, possibly, fewer impact-related running injuries. Running truly barefoot is, not surprisingly, hard on tender feet, especially when on rough surfaces. If you’re interested in trying barefoot running, first consider “hybrid” minimalist shoes. With a modest “heel drop” of 4-5mm, these offer a nice transition between traditional running shoes (with a 10mm heel drop) and the totally flat heel (“zero drop”) of the so-called barefoot shoes. Both minimalist and barefoot styles encourage a natural running motion. New to barefoot running or minimalist shoes? Our advice is to start out slowly, then gradually increase your time and distance so your feet get used to using different muscles. Q: How snug should a running shoe fit? A: Aim for a thumbnail’s length of extra space in the toebox. This helps you avoid losing toenails since your toes won’t jam against the end when running downhill or when your feet swell. The width should be snug but allow a bit of room for your foot to move without rubbing. Laces should be snug but not tight. Q: What is the typical lifespan of a running shoe? A: In general, a pair of running shoes should last between 400 to 500 miles of running (3 or 4 months for regular runners). This varies depending on your running mechanics. Take a look at your shoes. While the uppers will often look good, check the midsole and outsoles to see if they are compressed or worn. Q: If I wear an orthotic to correct my pronation, do I still need a motion-control shoe? A: You may be OK with a neutral shoe, but a motion-control shoe will offer additional support. Q: Can I use a road shoe for running trails? A: Absolutely, just keep in mind that a trail shoe will give you more traction on rough or loose surfaces than a road shoe. Q: If I supinate, can I wear a shoe that is for overpronators? A: You shouldn’t. It’s best to go with the shoe that coordinates with your body mechanics to avoid any injuries. Q: Is it OK to do a race or long run while wearing new shoes? A: The best approach is to do a short run first to see how your new shoes feel. You want to make sure the shoe is right for you before hitting a trail or pounding the pavement in a race.